WASHINGTON — A divided Supreme Court returned to the subject of partisan gerrymandering on Tuesday, considering for a second time in two years whether drawing election maps to help the party in power ever violates the Constitution. He added, though, that recent developments around the nation — including state ballot initiatives establishing nonpartisan redistricting commissions, proposed legislation in Congress and state supreme court rulings — may make action from the United States Supreme Court less necessary. 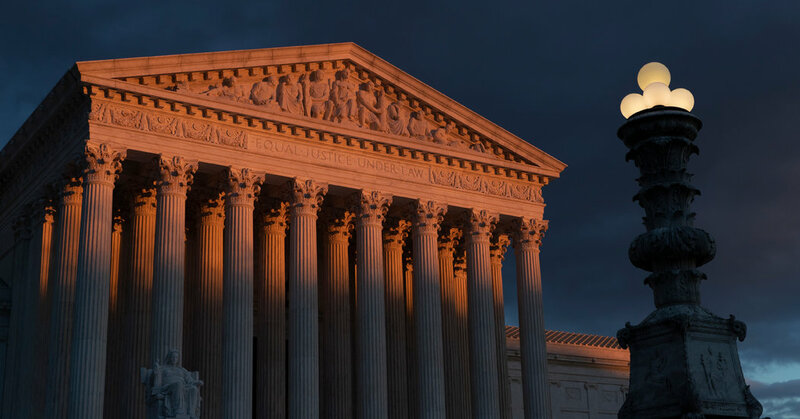 The other justices seemed largely divided along ideological lines, with the more conservative ones wary of announcing constitutional limits on the partisan gerrymandering and the more liberal ones prepared to try. There was certainly no consensus on how to fashion a legal standard that would separate acceptable partisanship for the kind that is unconstitutional. Justice Stephen G. Breyer proposed a numerical test, but it did not seem to gain traction with his colleagues. On Tuesday, almost exactly a year after they last considered the Maryland case, the court again heard arguments from Republican voters there who said their rights had been violated by a congressional district they said had been drawn to diminish their voting power. The court will also heard arguments in a second challenge, this one from North Carolina Democrats who said the state’s congressional map yielded a 10-to-3 Republican majority despite very close statewide vote counts. A ruling that limited partisan gerrymandering could transform American politics, reshaping House maps in several states, often but not always to the benefit of Democrats. Several justices said that the lawmakers’ conduct in the two cases before them was particularly overt, leaving no doubt that achieving a partisan advantage was their announced goal.